CMC documents develops and promotes the landscape of contemporary music from Ireland, engaging with those currently active in that rich and diverse landscape; composers, performers, musicologists, music students, music teachers, broadcasters, conductors, programmers, promoters and interested members of the public. CMC’s pilot Scholar-in-Residence programme was initiated in September 2018, with the aim of increasing engagement from musicology students at PhD level with CMC’s unique collection. Orla Shannon is the first scholar to undertake this role. Orla is a second year PhD student from Dublin City University, and is funded by the Irish Research Council. Orla’s research explores the area of the restoration of gender equality in the canon of twentieth-century Irish Art Music. In support of this research Orla has engaged with CMC’s library and the expertise of the CMC team to source many primary resources such as scores, audio recordings, previous research and theses, books, journals and ephemera. 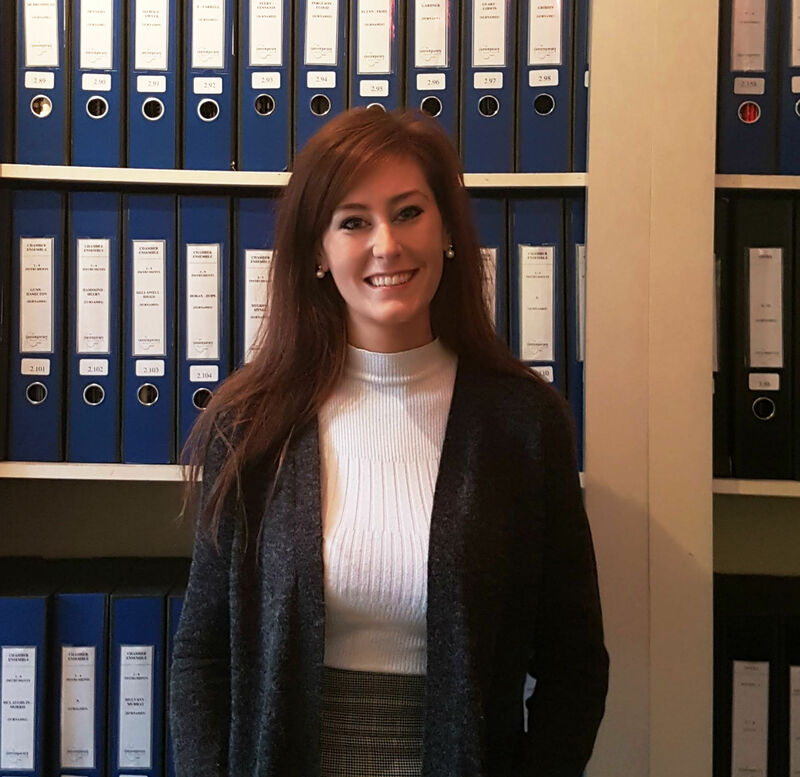 As part of the CMC Scholar-in-Residence programme Orla will engage in her research in residence in CMC on a regular basis, and will share and disseminate, aspects of her research through CMC’s website. Here she discusses the value of the Scholar-in Residence programme and CMC's library to her research. This new scholar-in-residence pilot initiative affords me the unique opportunity of working closely with the CMC team, at the CMC premises, where I have dedicated workspace and unlimited access to CMC’s archive and library. This enriched learning experience allows me to gain insight through skills development and collaboration with the CMC team. The programme itself has been established to provide academics, like myself, with a residence to pursue research in areas relating to contemporary Irish composition and offers various possibilities to disseminate research findings publicly to relevant audiences. Prior to starting the scholar-in-residence programme, my first encounter with CMC took place almost two years ago when I was initially attempting to compile a PhD scholarship proposal. With each visit to the institution, I was greeted by approachable informative staff with unique expertise, who were generous in aiding my quest to locate resources. Susan Brodigan, CMC’s Library Co-ordinator, was especially helpful in assisting my preliminary investigations on the scope of my research area. She kindly took the time to email me comprehensive lists of catalogues, books, journals, magazines, and manuscripts, all of which were housed at the centre. These materials directly informed my proposal and rendered a successful application allowing me to commence a PhD on the restoration of gender equality in the canon of twentieth-century Irish Art Music. As Scholar-in-Residence at CMC I am fortunate to be in position where I can work in the centre every week. 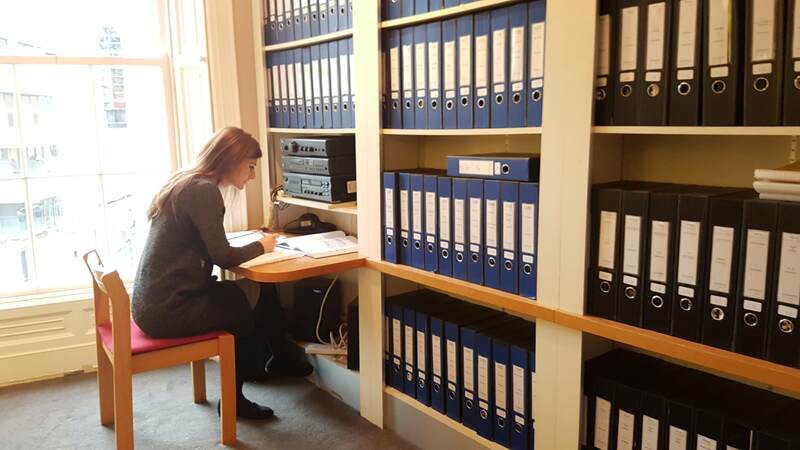 Given that my research shares similar ideologies to that of CMC in its pursuit to promote, document, and represent female composers in the canon of Irish art music, the institution is the ideal place for me to conduct archival research. Susan has greatly assisted the extent to which I have gained access to these resources by providing me with training on database navigation and digital archiving using the centre’s cataloguing software. This has given me full access to the centre’s entire digital archive, and has optimised the speed and accuracy of my independent searches for scores and other historical details pertaining to my work. Alongside the institution’s catalogue, my research has greatly benefited from the information I have extracted from ephemera, sound recordings, graduate theses, and discographical resources. 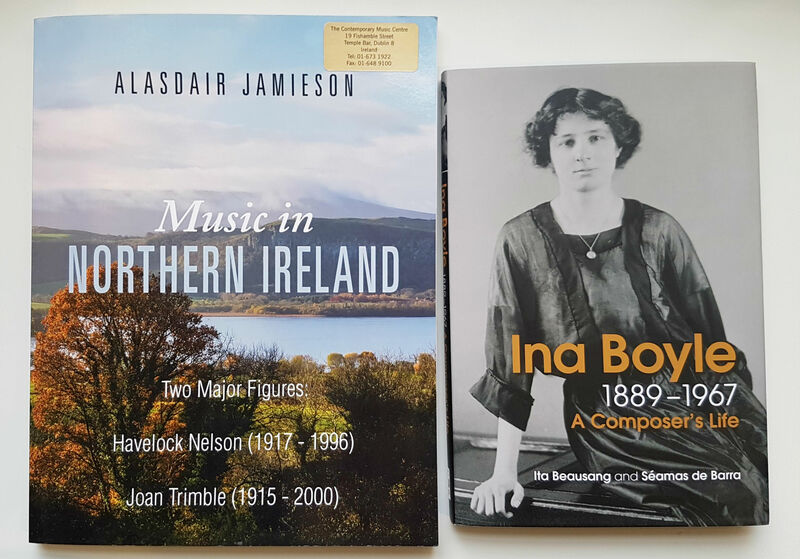 Having residency in the centre also ensures that I am kept up-to-date with new publications relating to gender disparity in Ireland’s musicological discourse. I often walk into the office to find that Susan has left a new edition of a book or a recent journal publication on my desk and even goes to the trouble of denoting the pages of relevance with a bookmark for me. Moreover, the centre has been kind enough to contact other libraries and archival institutions on my behalf, further expanding the ease at which I can acquire new materials. In this way, CMC has equipped me with optimum working conditions for conducting archival research. Researching at the centre on a continuous basis has also increased my exposure to intellectual exchange with staff and relevant experts in attendance at the various cultural and promotional events held by the centre. Even at this early stage, my involvement with the Scholar-in-Residence programme has been valuable in expanding my professional contacts and in facilitating my engagement with Ireland’s current musicological scene. In an array of both academic and informal social settings, CMC has introduced me to a community of leading authors, and academics who are also contributing towards the eradication of gender disparity on Ireland’s classical music landscape. For the insights I have received from these experts on my research, I am most grateful. To Susan and the CMC team, my sincere thanks for your ongoing support for my research in its attempt to rehabilitate female composers in the canon of twentieth-century Irish Art Music.